It is the best feeling having ice at will on the hot days. However, this can be interrupted if your ice maker is not working. Fresno ice maker repair is here to save the day. Our licensed techs are the best in the area and have many years of experience. Any problem can be repaired by our team. 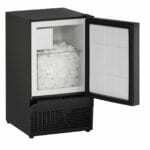 We provide all the spare replacement parts to fix your ice maker. All repairs are done on the same day. Are you interested? If yes, call us at 559 960 0798 or contact us through our online schedule service, we are available 24/7. Many other problems are repaired by Fresno ice maker repair in CA, do not hesitate to call us at 559 960 0798 or contact us through our online scheduling service if you cannot find your ice makers problem. Furthermore, Fresno ice maker repair is specialized in repairing all brands and types of ice makers. Why is Fresno ice maker repair the best?